Abraham Albert Heaps, Canadian labour leader, alderman, and parliamentarian, was born to Jewish parents in Leeds, England. He learned the upholstering trade and immigrated to Canada in 1910. 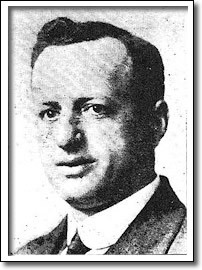 In Winnipeg, he became the Upholsterer's Union delegate to and statistician for the Trades and Labour Council, and secretary of the Labour Representation Committee, the trades unionists' political organization. As a leader of the 1919 General Strike, Heaps was charged with seditious conspiracy and arrested. After pleading his own cause he was acquitted at a dramatic trial. Heaps served as a labour and social democratic alderman for North End wards, 1917-25. He was the Manitoba Independent Labour Party and then Co-operative Commonwealth Federation MP for Winnipeg North, 1925-40. Heaps was influential in the establishment of progressive social legislation in Canada including old age pensions and unemployment insurance.